Thank you to all the sponsors, partners and participants in Open in Sumner! Check out our photos online and share your own on Twitter by tagging @CityofSumnerWA. Sumner celebrated all things golf and Northwest with the 2015 U.S. Open coming to nearby Chambers Bay, the first Open in 115 years ever held in the Pacific Northwest. 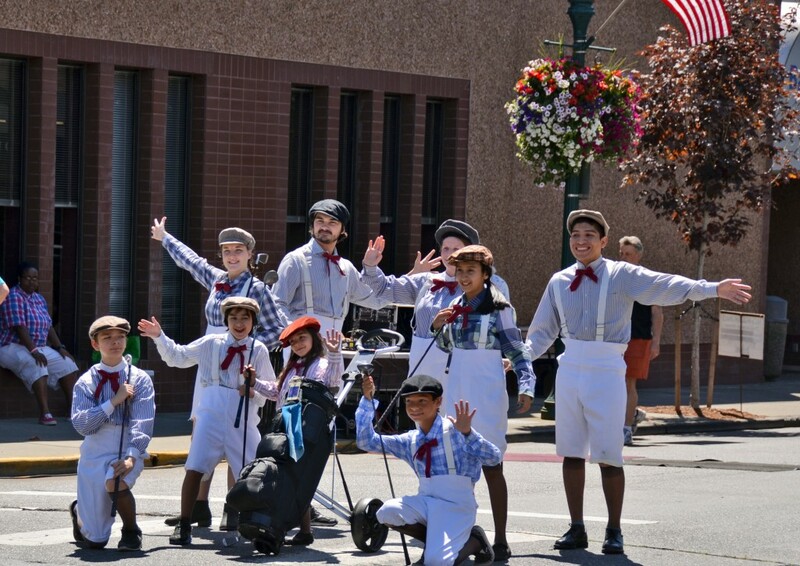 Recognized locally and internationally for its small-town charm, Sumner celebrated in its own way with Open in Sumner, June 13-14. This festival featured an outdoor movie and concert, Main Street Parade, and putt-putt tournament created by local businesses for the opportunity to be Sumner’s guest at the Sunday Championship round. All proceeds from Open in Sumner went to the Friends of American Lake Veterans Golf Course. This is the only course in the nation specifically designed to serve disabled veterans, and the course is currently raising money to complete their back nine holes, designed for free by Jack Nicklaus. Jim Martinson, a veteran originally from Sumner, has shared how important such a course is for veterans, especially those who have been injured in combat, to recover physically and mentally.